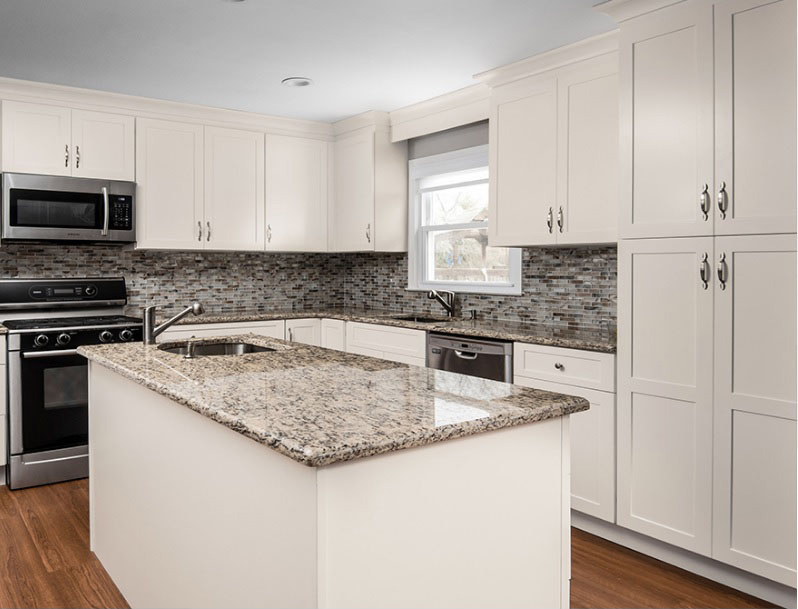 Providing New Jersey with complete kitchen and bathroom design services, cabinet and countertop installations, and everything you need to create your perfect space! We believe that a kitchen is where the heart of a home is, and we know that most families would agree. Simply changing the way your kitchen looks not only drastically changes the overall appearance of your home, but can add value to your home as well. Whether you’re just sick and tired of the way your kitchen currently looks, or if you are a new home owner and looking to make your new kitchen your own – we’ve got you covered. Our experts will come to your home – free of charge – and provide you with an assessment and estimate. From there, we will work with you on what you would like to achieve. We will offer you the best solutions and will make sure your design will work for your homes’ space and shape. You can trust our talented and creative design team to come up with a unique design for you while staying within your budget. You will be involved every step of the way – from concept to completion. If changes arise in the design or installation process, we will keep you informed at all times, so you will always be aware of what’s going on with your project. With many years of industry experience under our belt, we have all the experience, tools and equipment necessary to handle your kitchen and bath remodel. Our team has the creative mind that will take any idea you have and get it off the ground, following through until you're completely satisfied. No matter what style or design you are going for, we can do it all. There is nothing to we can’t handle. Big or small. Give us a call today to speak to our team about your vision! Don’t wait around any longer… take your vision and make it come to life. Let’s get started on your kitchen/bath remodeling project today and start living in new style and comfort.